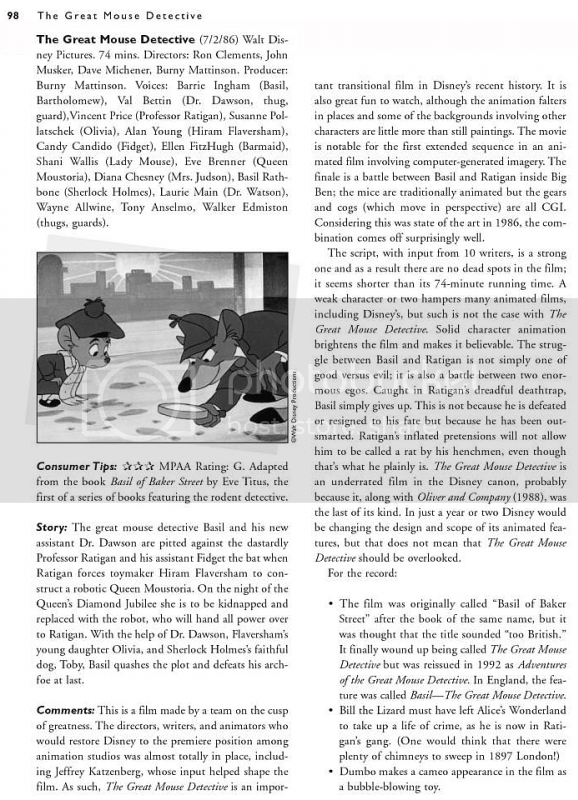 Book Description (from Amazon): Going beyond the box-office hits of Disney and Dreamworks, this guide to every animated movie ever released in the United States covers more than 300 films over the course of nearly 80 years of film history. Well-known films such as Finding Nemo and Shrek are profiled and hundreds of other films, many of them rarely discussed, are analyzed, compared, and cataloged. The origin of the genre and what it takes to make a great animated feature are discussed, and the influence of Japanese animation, computer graphics, and stop-motion puppet techniques are brought into perspective. Every film analysis includes reviews, four-star ratings, background information, plot synopses, accurate running times, consumer tips, and MPAA ratings. 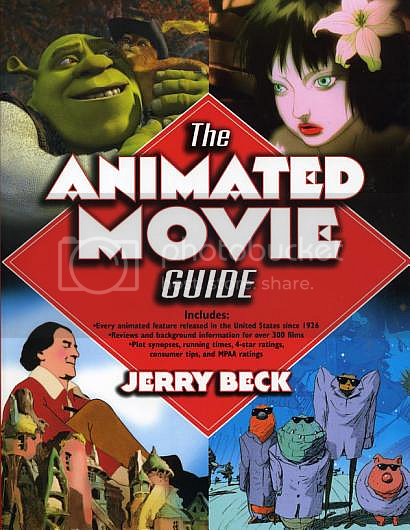 Brief guides to made-for-TV movies, direct-to-video releases, foreign films that were never theatrically released in the U.S., and live-action films with significant animation round out the volume. GMD mention: Pages 97-98 contains crew credit, consumer tips, story, and comments.